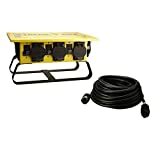 Milspec Direct 25-Foot 10-Gauge SJTW 30Amp Lighted 3-Way Generator Cord with NEMA L5-30 Plug , selling for $79.99 brand new. Manufactured by Milspec Direct. There are 1 units left brand new. Heavy-duty 30A molded-on 3 prong twistlock male plug inserts into compatible receptacles (outlets) located on a majority of portable generators which provide immediate power through (3) three lighted standard 15A-125V grounded outlets. Manufactured to 10/3 AWG (American Wire Gauge) specifications. Each of the 3 conductors contain 104 strands of 30 gauge 100% pure copper wire. Type “SJTW” 300V coldweather jacket guarantees this cord not to crack or become brittle and remain flexible in temperatures well below freezing. 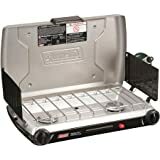 Heavy-duty molded-on lighted triple tap connector NEMA 5-15R provides 3 standard 15A-125V outlets on each extension cord. NEMA L5-30 (30A-125V) male plug, molded-on and guaranteed not to pull off. Designed for use with most portable generators, our Generator Extension Cords and Adapters extend portable power where regular power is not available. 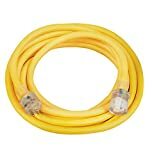 Heavy duty cold weather jackets keep these cords flexible in temperatures well below freezing. Molded on plugs and connectors are guaranteed not to pull away from the cord body even under the toughest conditions.